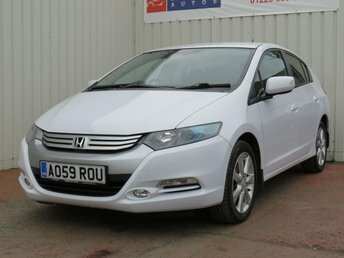 Come to Border City Autos Limited today for a closer look at the range of used Honda Insight models we have for sale in Haltwhistle. As a leading supplier of quality used cars you can rest assured that all of the pre-owned models you'll find on our forecourt have been rigorously tested by trained mechanics. Stylish looks are on offer here along with the kind of economical performance that makes this hybrid an excellent choice for drivers on a budget. Find out more by contacting a member of the showroom team now by phone, online, or in person at our base in Haltwhistle.